This past week i made a different kind of pancake. It might even be a bit of a stretch to call it a pancake, more like a panbread… The basics are the same, its flour based and is cooked in a skillet! But these are very delicious and are quite easy to make. 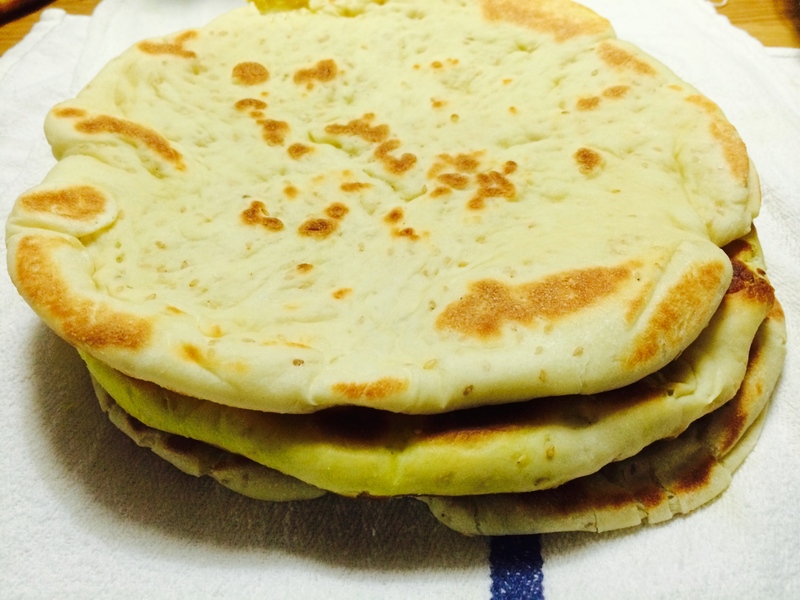 They could technically be eaten for breakfast with some eggs and bacon, you could even make a kind of breakfast pita sandwich with them if you wanted. We ate these with some delicious soup, dipping them in the soup and soaking up the broth. Later in the week i had some leftover with some vegetable curry. However you eat them they are wonderfully light and fluffy, can be eaten hot or cold, and definitely work with sweet or salty foods. Making these is very similar to making a standard loaf of bread, except after the rising, instead of making a nice loaf, you roll them out and then fry them. First mix the warm milk and honey together. Add the dry yeast and let sit together for 10-15 minutes or until it gets nice and bubbly. In a separate container mix the yogurt and the egg together. In a mixer, combine the flour, salt, and baking powder together. Pour in the yeast mixture, followed by the yogurt mixture, and the oil. Mix on low until everything comes together. 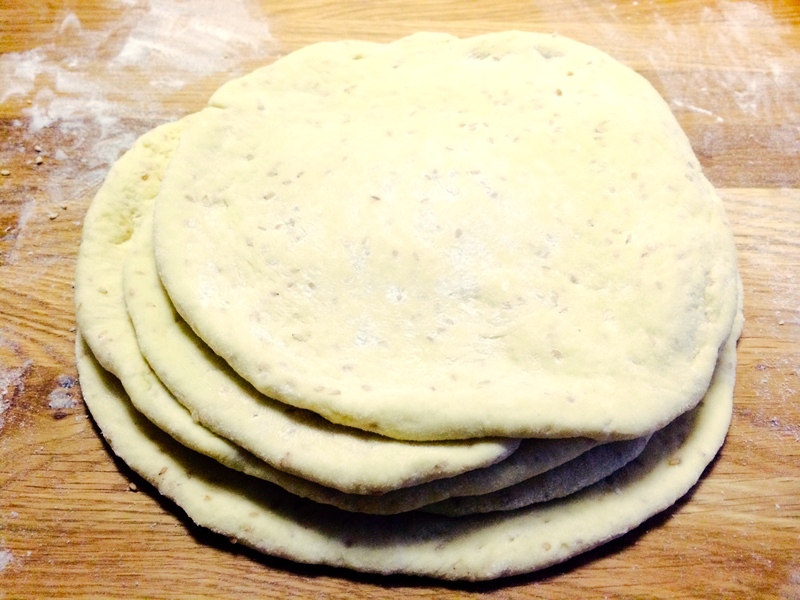 If needed add more flour until the dough forms a nice ball that does not stick to your hands. Let the dough rest for 5 minutes, and then turn the dough out of the mixing bowl and onto a floured surface. Knead the dough for about 5 minutes. 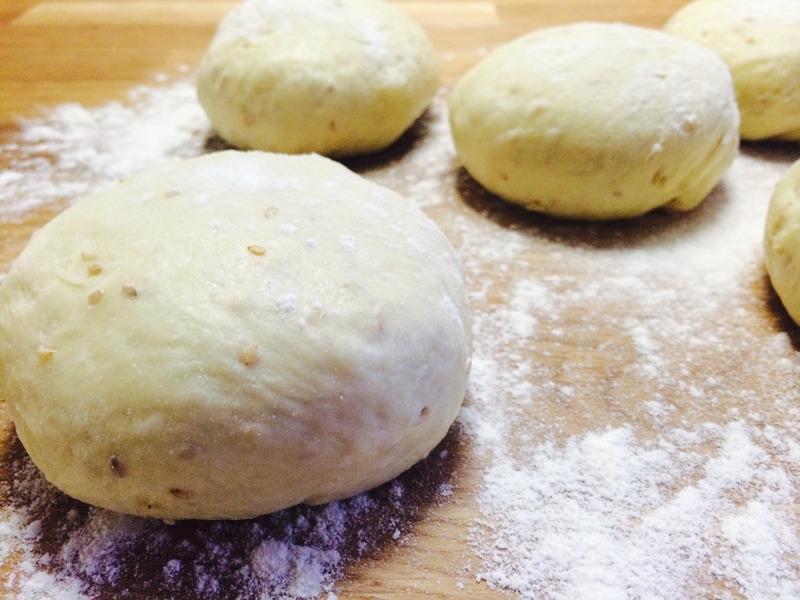 While kneading sprinkle the sesame seeds on the dough, so that they get mixed in. Continue dusting with flour if you need to. 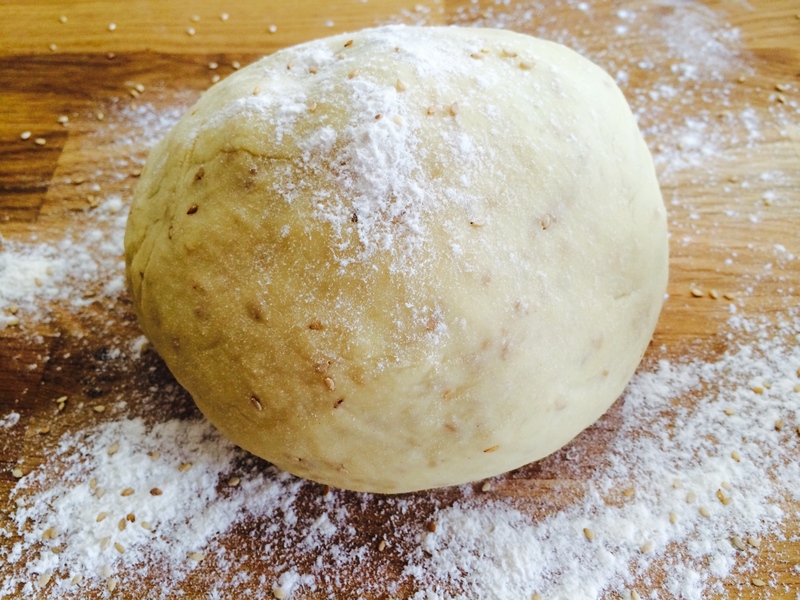 Set the dough in an oiled bowl and let rise for around 4 hours, or until doubled in size. After they have risen, roll the balls out until you have nice little flat pancakes. Poke all over them with a fork. This will make sure that they stay flat while they are cooking and don’t puff up. 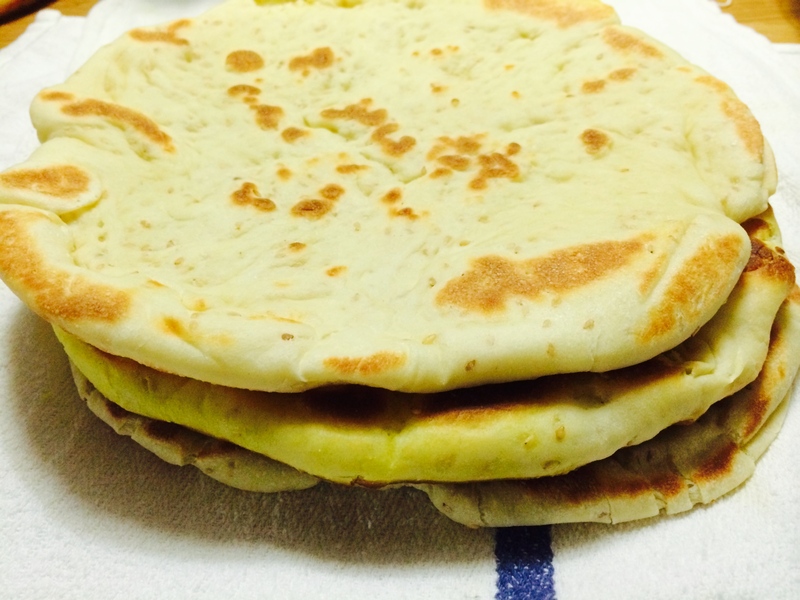 When you are ready, heat a pan with a little oil in it and pan fry the breads on both sidesuntil they are nice and golden. I actually put a cover over the skillet so that it created a little oven situation. When they are finished keep them in a kitchen towel all together to keep them warm until serving.